The framework directives from the Norwegian Labour Inspection Authority from 1978 did prohibit open clean blowing of work clothes. A working group discussed several alternatives to solve the problem. 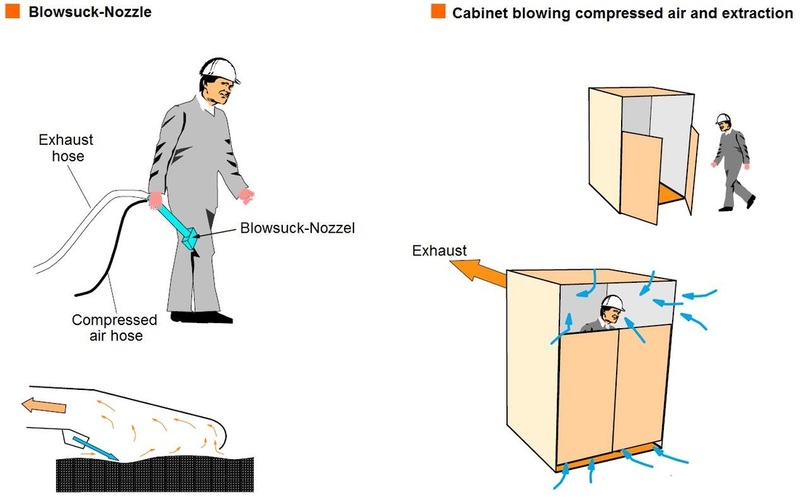 The air pressure upstream the blowing nozzle should not exceed 2,1 bar. The workers should use dust masks during the clean blowing and eye protection if the dust consists of sharp particles. Clean blowing shall take place outdoors or at places where clean blowing does not contribute to increase the dust concentration.